Four tubes (2 Catalyst & 2 Base) 320ml ttl. Exceptionally accurate, hydrophilic and strong. Use as a final impression material or an alginate substitute. 4 min. set, 3 min. working time. Also available in 50ml cartridges (S454S). 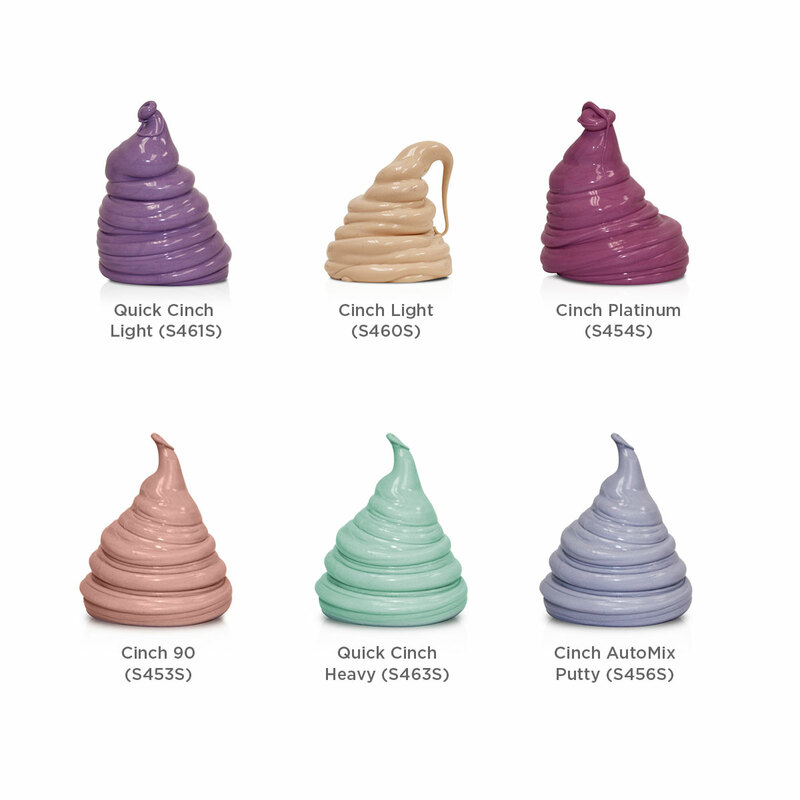 Cinch is available in a wide variety of viscosities, final hardness and setting times. If you are switching between a VPS material for final impressions and an alginate substitute for other situations, consider going with the affordably-priced Cinch™ for both applications from now on. Its unique properties are exceptionally adaptable and capable of capturing all of the finer details of a preparation area. You’ll be amazed by how much time you save! MAKE THE SWITCH TO CINCH. Cinch is an incredibly versatile impression material and it’s used in thousands of dental offices worldwide. Many dentists rely upon it as their final impression material because of its accuracy, reliability and price, but do you know why Cinch also makes for a great alginate substitute? It costs considerably less than most other alginate substitute materials. The accuracy of a final impression material like Cinch is far greater than what’s required in alginate substitute materials. 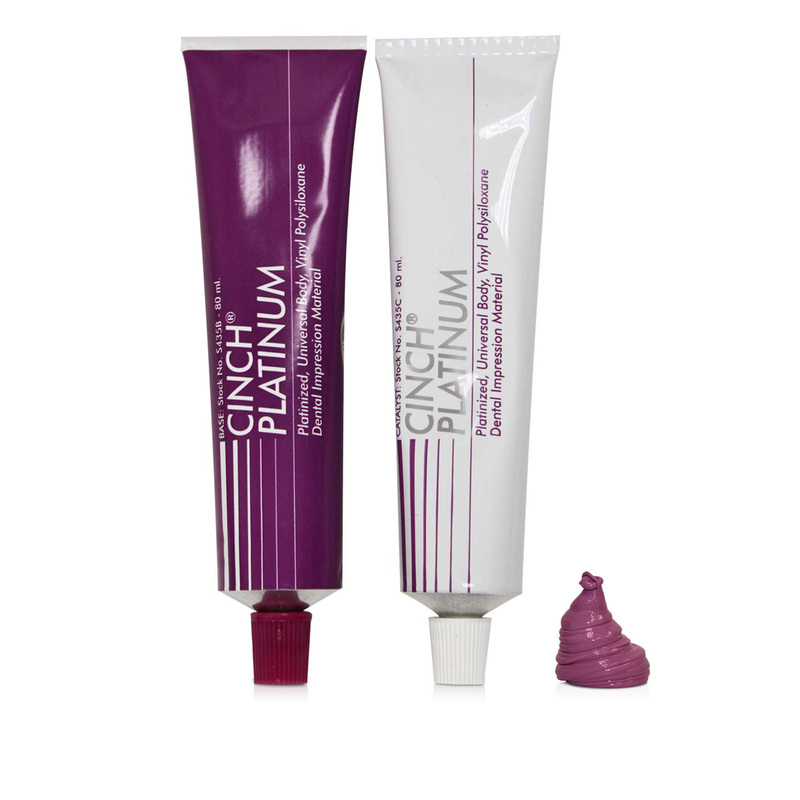 When compared to alginate, Cinch is very convenient to work with. The material is dispensed from either a 50ml cartridge or an even more convenient 380ml cartridge (Cinch Medium). Cinch comes in a wide range of viscosities, set times and durometers to meet all of your needs (see chart below).